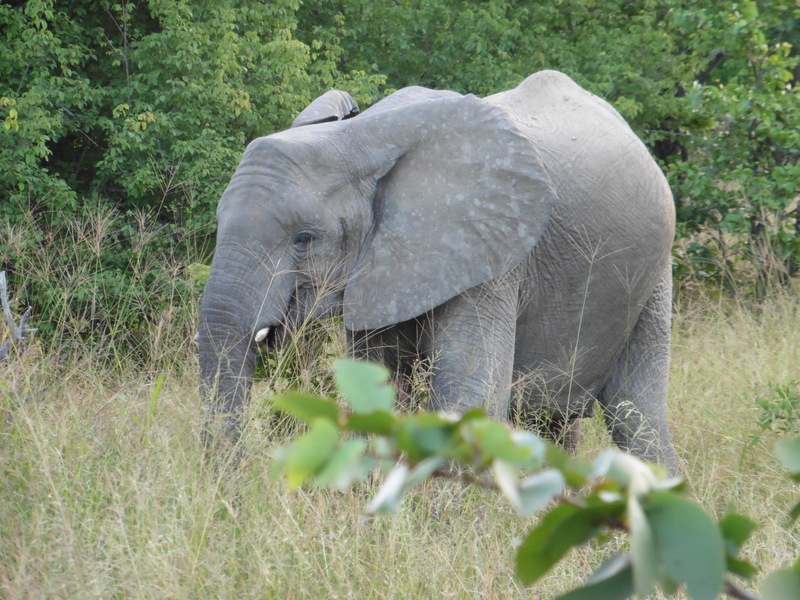 Pinch me – I’m in Africa seeing the animals I dreamed about! 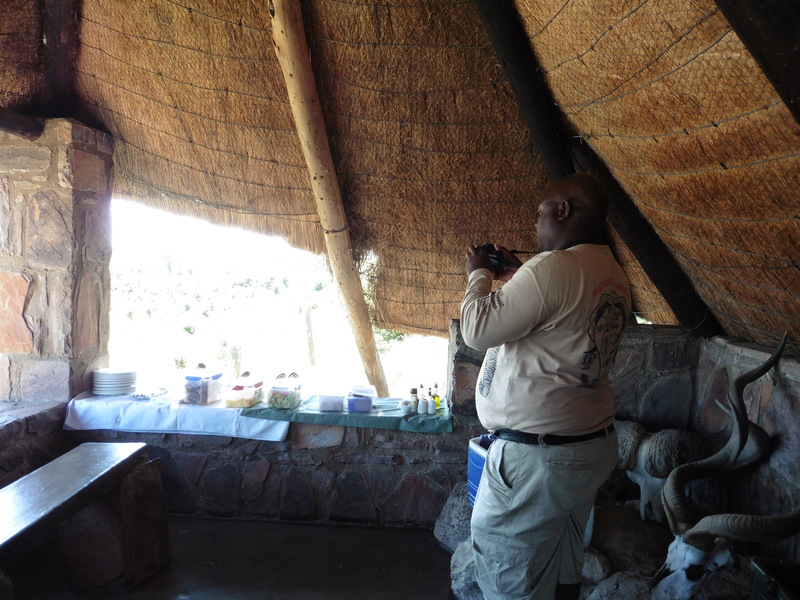 After our six AM “wakey-wakey” greeting from Phanuel and a quick breakfast, we embarked on a ten-hour safari. We saw more animals then we had seen the day before-elephants, impalas and wart hogs. 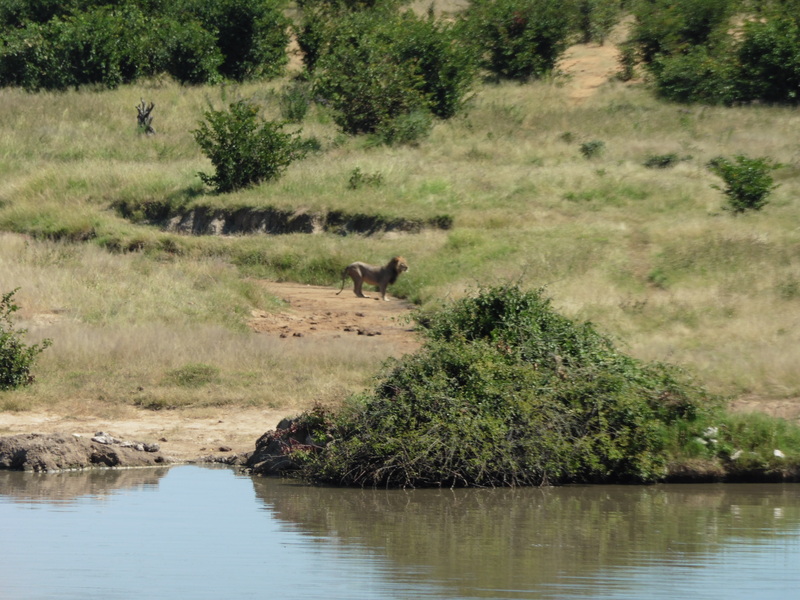 But most exciting of all were seeing the animals we hadn’t seen yet – hippos, giraffes, lions, crocodiles, zebras, baby hyrax, and kudu. Yesterday and today we saw so many elephants that we almost developed “just another elephant” syndrome. We even had another elephant charge the back of our Jeep. Phanuel told us the elephant was a young bull who was just playing with us. He knew because his ears were out and his trunk was down. 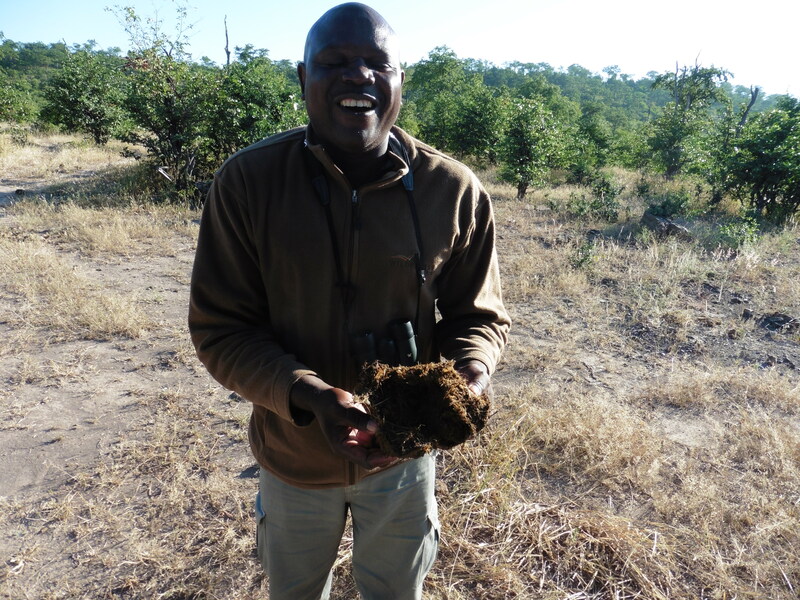 Albert, our guide gave us a lesson about elephant nutrition and digestion by breaking open a large hunk of elephant poop and showing us what was inside. We saw an elephant drinking and refreshing himself at one of the watering holes. We stopped at one of the largest lakes in the park for tea. While watching a crocodile swimming in the lake, I noticed black blobs popping up and down. Phanuel told us they were hippos. 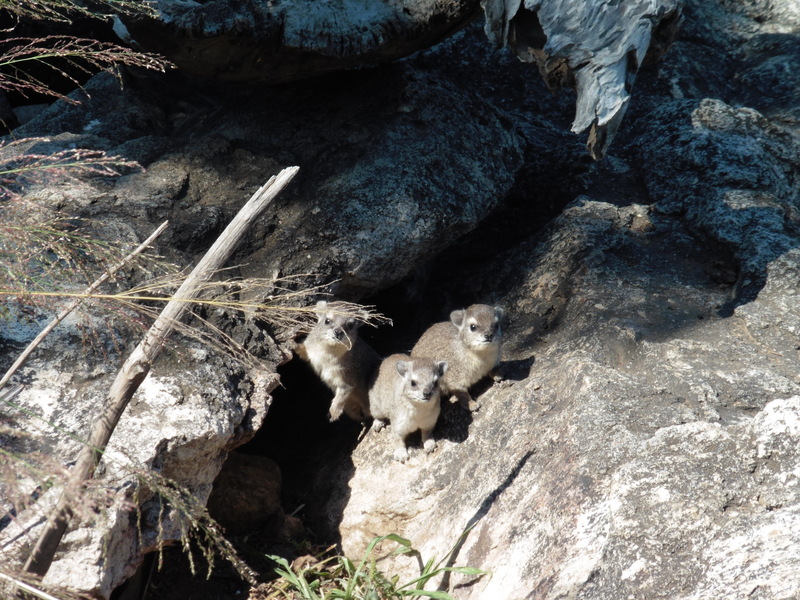 Right below where we had our tea was a den of adorable baby hyrax. After more game viewing we stopped at the Masuma watering hole for lunch. Our guides set out a lovely lunch for us. 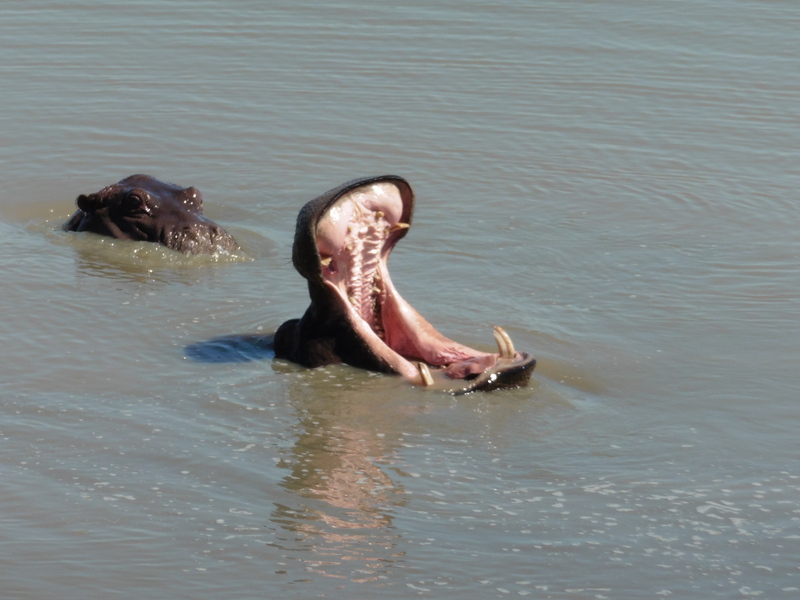 It was an animal bonanza with hippos, crocodiles, lions and beautiful birds. 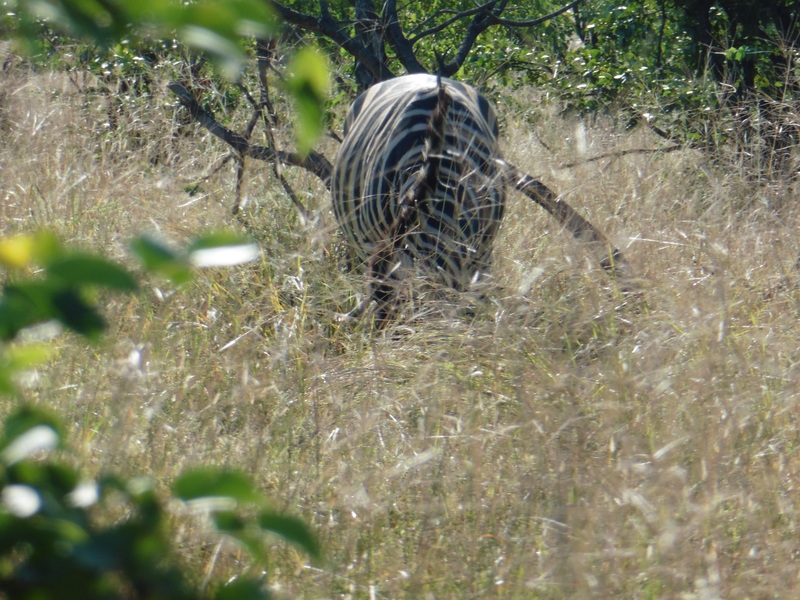 On the ride back to camp, we saw four zebras. I hope to get a better zebra picture before I leave. For our final night in Camp Kashawe , the staff performed a thank you song and their beautiful national anthem. They invited us to join them in some African dancing around the fire. I was so very touched by their beautiful words and the warm atmosphere they created for us. It was a beautiful way to end a perfect three-day stay. This entry was posted in Africa 2018 on April 26, 2018 by debbie.